Doug Udall and I took a class recently in Leavenworth, Wash. and earned our WFR certificates. The class was 72 hours spread out over 8 days, with one day off. 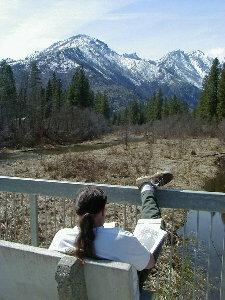 We lived in a beautiful old lodge on Icicle Creek outside of Leavenworth with about 16 other people for the duration of the course. 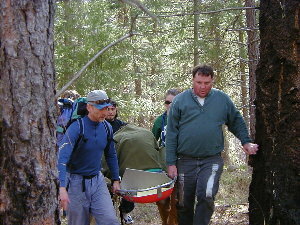 The training is very intensive and covers many aspects of wilderness first aid. Along with Basic Life Support and CPR for the professional rescuer, we also learned the Patient Assessment System and SOAP notes for diagnosing and treating medical problems in a wilderness setting where definitive medical care is two hours or more away. We were then taught how to deal with a wide range of specific medical problems. We learned how to evaluate and treat severe burns, severe bleeding, volume/vascular/cardiogenic shock, angulated fractures to long bones, injuries to joints including reduction of dislocated joints, spinal injuries, nervous system injuries including complications from severe concussions, and how to safely remove impaled objects. We learned how to assess and treat hypothermia, hyperthermia, acute mountain sickness, high altitude pulmonary/cerebral edema, allergic reactions and anaphylaxis (certified for epinephrine), and near drowning. We learned how to diagnose and treat hypoglycemia, hyperglycemia, gastro-intestinal tract infections, respiratory problems, circulatory problems, and nervous system problems. 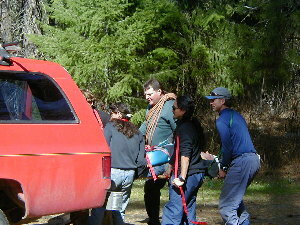 Aside from the strictly first aid training, we also were taught how to use backboards and litters to transport spine-stabilized patients out of a wilderness setting. There were lectures every day, and very realistic major simulations every other day. A good deal of the time was spent outside in the sunshine, and all the simulations were held outdoors. The course was not easy and it required homework every night. Once completed, the WFR certification allows us to do a few things normally reserved only for physicians.  These are: assessing and reducing dislocated shoulders, fingers, and patellas; administering epinephrine for allergic reaction; administering epinephrine for anaphylaxis; removal of impaled objects and aggressive wound cleansing; clearing a potential spine injury; and ceasing CPR. The course was taught by Lucca Criminale and Tom Clausing of Rescue Specialists and is based on Wilderness Medical Associates curriculum. The instructors were excellent and they made the course fun and interesting while teaching a great deal of information in a short period of time. The approach and methods they used made the course a success for almost everyone involved. I credit them both for keeping the course light and upbeat, creating a situation day after day that allowed 18 of us to co-exist happily in the lodge for 8 days. Lucca deserves extra credit for creating very good breakfasts and lunches every day for 20 people in a small domestic kitchen in an old lodge...its main feature being an actual wood burning cast iron stove about 12 yards long...and no microwave. We had a beautiful environment in which to study, great classmates, and top quality instructors. 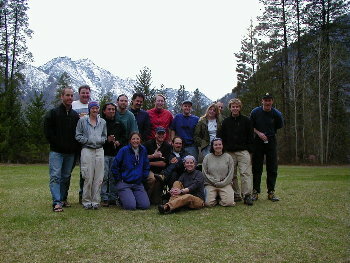 I would reccomend this WFR class to anyone working or living in the backcountry.